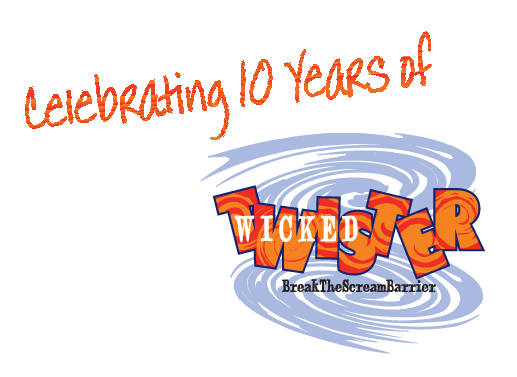 Break the scream barrier on Wicked Twister! Wicked Twister is a second-generation impulse roller coaster, and is the tallest and fastest of its kind. The ride reaches top speeds of up to 72 miles per hour when launched out of the station five different times up two spiral towers! Each tower measures up to 215 feet tall, and each vertically twist up 450 degrees. The ride, like many other Cedar Point coasters, was manufactured by the giant Intamin AG, and was designed by Werner Stegel, a German roller coaster mastermind. Unlike most roller coasters, Wicked Twister only contains one train, because using more than one would be dangerous for many obvious reasons. Wicked Twister is the only roller coaster in the park to utilize a LIM launch system. LIM stands for linear induction motor, which is a type of motor used in some roller coasters and can propel trains and trams. Wicked Twister broke three records when it opened, and still holds all three of them today, including tallest and fastest inverted roller coaster in the world, but it is not a complete circuit, and it was the first ever second-generation impulse coaster in the world when it opened along the sandy Lake Erie beach in 2002. Wicked Twister sits near the front of the park, behind the Giant Wheel and adjacent to Disaster Transport.